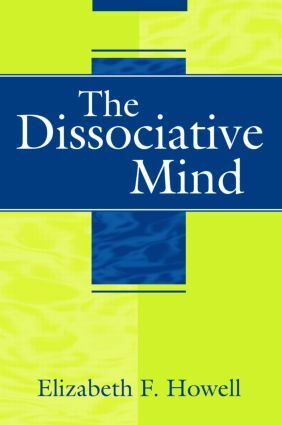 Drawing on the pioneering work of Janet, Freud, Sullivan, and Fairbairn and making extensive use of recent literature, Elizabeth Howell develops a comprehensive model of the dissociative mind. Dissociation, for her, suffuses everyday life; it is a relationally structured survival strategy that arises out of the mind’s need to allow interaction with frightening but still urgently needed others. For therapists dissociated self-states are among the everyday fare of clinical work and gain expression in dreams, projective identifications, and enactments. Pathological dissociation, on the other hand, results when the psyche is overwhelmed by trauma and signals the collapse of relationality and an addictive clinging to dissociative solutions. Howell examines the relationship of segregated models of attachment, disorganized attachment, mentalization, and defensive exclusion to dissociative processes in general and to particular kinds of dissociative solutions. Enactments are reframed as unconscious procedural ways of being with others that often result in segregated systems of attachment. Clinical phenomena associated with splitting are assigned to a model of “attachment-based dissociation” in which alternating dissociated self-states develop along an axis of relational trauma. Later chapters of the book examine dissociation in relation to pathological narcissism; the creation and reproduction of gender; and psychopathy. Elegant in conception, thoughtful in tone, broad and deep in clinical applications, Howell takes the reader from neurophysiology to attachment theory to the clinical remediation of trauma states to the reality of evil. It provides a masterful overview of a literature that extends forward to the writings of Bromberg, Stern, Ryle, and others. The capstone of contemporary understandings of dissociation in relation to development and psychopathology, The Dissociative Mind will be an adventure and an education for its many clinical readers.